Sioux Center Veterinary Clinic is a large animal and small animal veterinary clinic that provides Sioux Center, Ireton and northwest Iowa with professional veterinary services. Dr. Searcy has been in practice for 38 years. He graduated from Kansas State University in 1977 with a Doctorate of Medicine Degree, and began working at the Sioux Center Vet Clinic in 1979. Dr. Searcy is a vet for the clinic and also a beef cattle consultant. In his spare time Dr. Searcy enjoys antique tractors and growing in the Holy Spirit. Dr. Cari Van Zweden began working at Sioux Center Vet Clinic in 2013 after graduating from the University of Missouri-Columbia with a Doctor of Veterinary Medicine degree. Dr. Van Zweden diagnoses, treats and perform surgeries. Processes, consults, and writes vaccination protocols. She is married to Josh Van Zweden and they have one son Jude. Cari enjoys, spending time with her son, camping and traveling. Todd Van Holland started working at the Sioux Center Vet Clinic in 1994. He processes cattle and assists veterinarians with daily work. Todd's wifes name is Amy and they have 2 sons, Cody and Lane and one daughter, Mya. His interests are spending time with family, hunting and fishing. Dr. Borchers started working in June 2015 after graduating from Iowa State University with a Doctor in Veterinary Medicine. Dr. Borchers diagnoses, treats, processes and performs surgeries. He is married to Amanda and they have 2 sons, Kaden and Garrison. Daniel enjoys time with family, building things, camping, and being on his parent's farm in Holstein. Daniel will also be assistant wrestling coach for Northwestern College. Damon Bleeker started at Sioux Center Vet Clinic in 1994. At the clinic Damon helps process cattle and assists veterinarians with daily work. He is married to his wife Beth, they have a son Sawyer and daughter Lauren. Damon enjoys hunting and feeding cattle. Lori began her work at the clinic in 1987. Lori purchases pharmaceuticals, works with invoicing and builds relationships with the vet clients. Lori is also the product and sales manager. She is married to Jack and they have 5 children, Richard, Derek, Adam, David and Ashley. Lori enjoys shopping, spending time at her lake home and spending time with her grandchildren. Donna graduated from Kansas State University with a BS in Biology, with a medical technology degree from St. Francis Hospital and an Associate Degree in computer programming from NCC. She started working at the Sioux Center Vet Clinic part time in 1986 and full time in 2009. Donna works with accounts payable, administrates benefit programs and is the "go for" person! 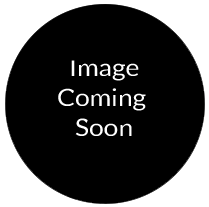 She is married to Dr. Searcy and they have 2 children, Janene and Stacey and 6 grandchildren. Donna enjoys sewing taggie blankets and baptism outfits and also enjoys crafting. Rebecca Gradert graduated from Colorado Tech and started working at Sioux Center Vet Clinic in 2006. Rebecca answers phones, book appointments, cleans and maintenance, invoices and orders supplies and product at the Sioux Center and Ireton Clinics. Rebecca has 2 dogs and her parents are Warren and Candy Gradert. She also has 1 sister and brother in law. Rebecca enjoys quilting, spending time at her cabin and working. Michayla graduated from Western Iowa Tech Community College for Veterinary Assistant and started at Sioux Center Vet Clinic in August of 2013. At the clinic she assists vets on country calls and surgeries, processes cattle, answers phones, provides customer assistance in office and stocks product. Michayla lives in Ireton and has 4 siblings as well as 2 dogs. She enjoys horseback riding, crocheting, scrapbooking and hanging out with friends. Ariel Zimbelman attended Western Iowa Tech Community College for Veterinary Technician and started working at Sioux Center Vet Clinic in September of 2013. At the clinic Ariel assists vets in daily tasks and surgeries, answers office phones and does some cleaning and maintenance. Ariel's parents are Glen and Brenda Zwart, she has 6 siblings and 3 dogs. Her interests are horseback riding, four wheeling, crocheting, fishing and hanging out with friends and family. 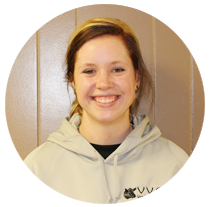 Kelsey Westra started at Sioux Center Vet Clinic in October 2014. At the clinic Kelsey assists vets on country calls and surgeries and helps with cleaning and maintenance. Kelsey has a son named Chas and 4 siblings. Her parents are Randy and Sandy Westra. She enjoys raising baby calves, riding horse and spending time with her 4 year old son. 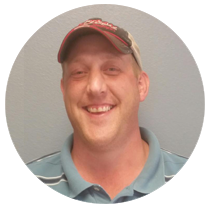 Adam earned his degree from Iowa Lakes Community College and started working at Sioux Center Vet Clinic in December of 2014. Adam manages maintenance and repair at the clinic and also assists in cattle processing. Adam is married to his wife, Stacey and they have 2 children named Jace and Jerzi. Adam's hobbies are hunting, fishing and anything outdoors.